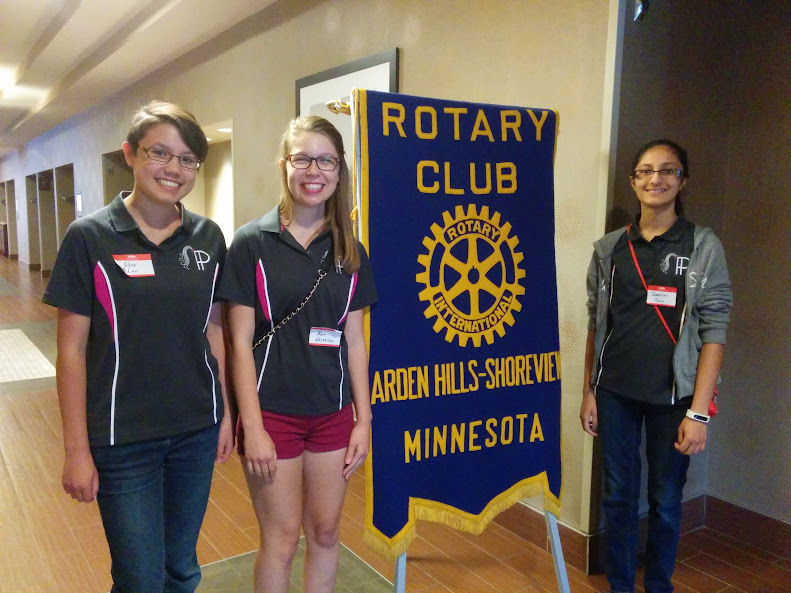 In the early morning, Nancy, Rose, and Sabriyah went to the Hampton Inn to be guests at the weekly Arden Hills/Shoreview Rotary Club meeting. We gave them a presentation about who we are and what we do, and we demoed our robot after. It was a great way to spread the word about FIRST because many of the club members are business owners locally. For this presentation, we put together some slides used in previous presentations. Since we had rehearsed this similar presentation before, we didn’t practice prior to the meeting. 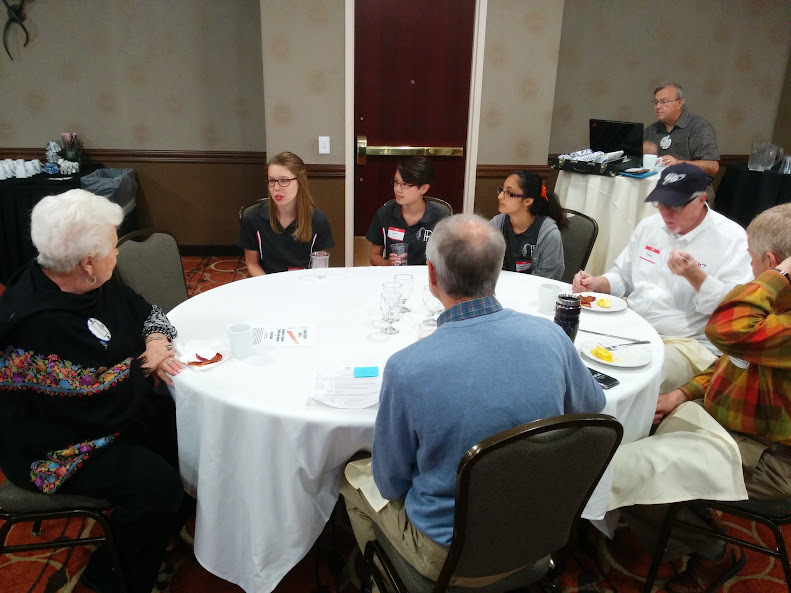 The presentation described the basics of FTC as well as the other programs of FIRST, and we talked about the different parts and impacts of FIRST. 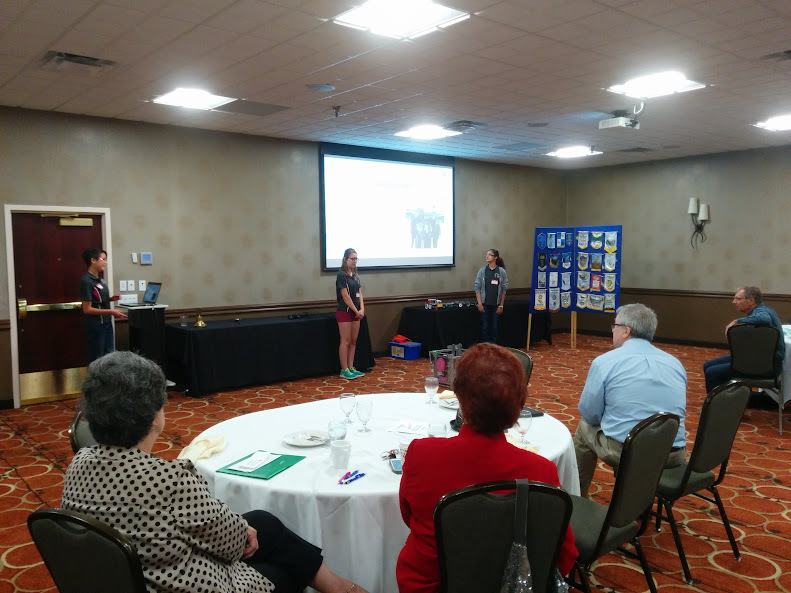 After we briefly demonstrated the robot, we explained to the club about how greatly appreciated their donations would be if they chose to do so. The president, Mr. Ken Hola, was very enthusiastic about supporting our team, and it was a morning well spent.